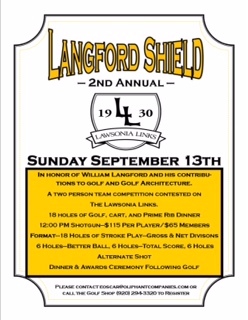 The Langford Shield golf tournament on the Links course at Lawsonia in Green Lake, Wisconsin, was created last year to honor the significant contributions made to golf course architecture by the legendary golf course design team of William Langford and Theodore Moreau. 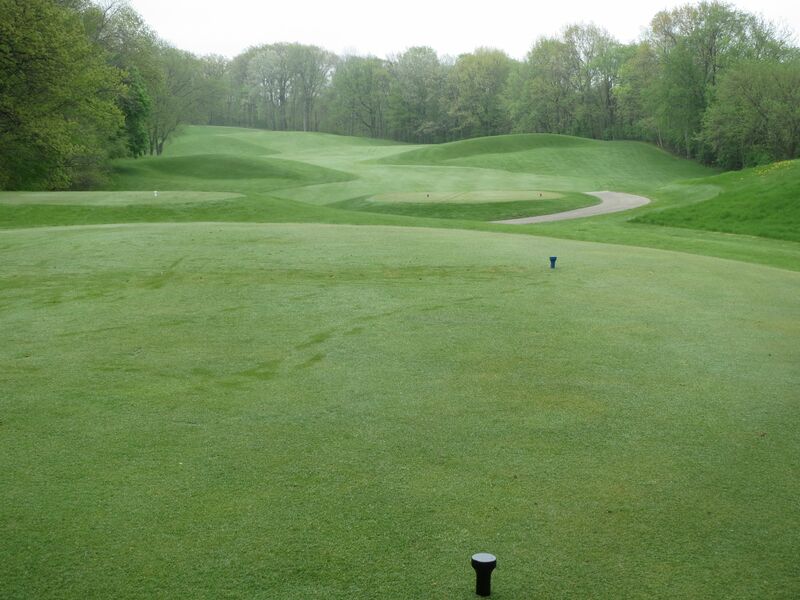 The Links course at Lawsonia is perhaps the most well maintained of all of Langford’s course designs, and has long been considered to not only be the best classic course in the state of Wisconsin, but one of the best in the country. Ask anyone at your local golf club about Lawsonia Links and be prepared to hear the stories roll. 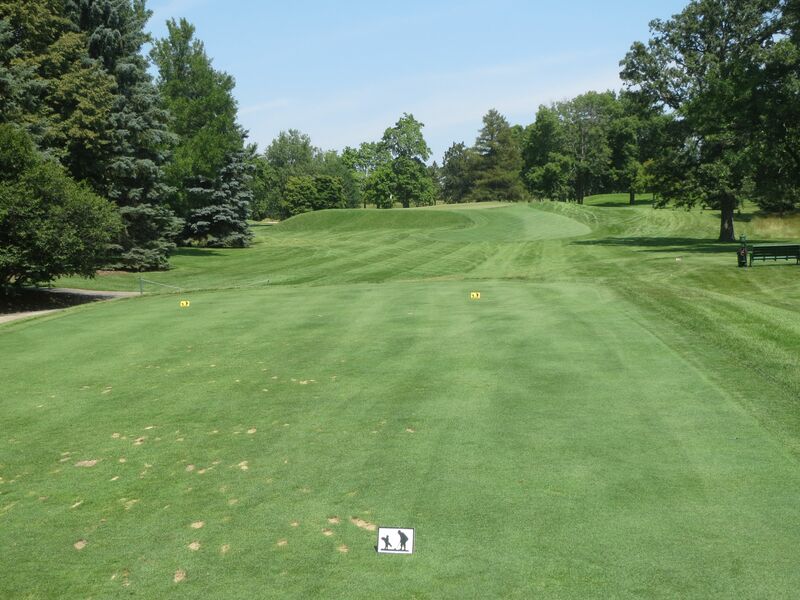 Most golf enthusiasts who have been around the game of golf in Wisconsin for a significant amount of time can recall their first trip to Lawsonia, tournaments and events they played there growing up, and can tell you a few things about recent renovation work on site. 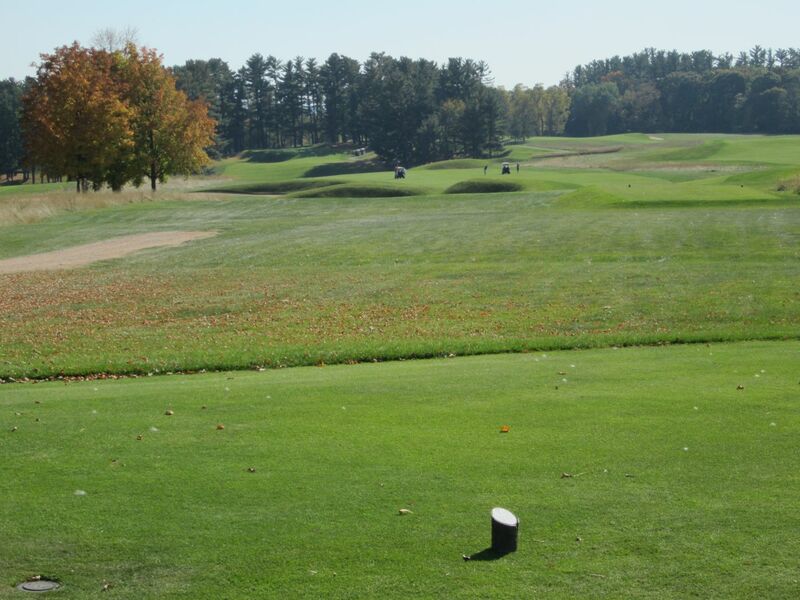 There is something about Lawsonia that endears the golfers who play it. For me, it was my first ever classic links golf experience, and I remember driving on to the property and seeing the entire back nine left of the driveway and just thinking to myself: “That is the most beautiful green grass I have ever seen.” I remember the sun shining down on it, and I remember being baffled at those elevated greens and the wild fairway mounding. It’s had me in its hooks ever since. In 2013, I wrote my first ever magazine article for Midwest Golfing Magazine about Lawsonia. I could not have asked for a better subject for my first article; I have always loved it. This love affair is not dissimilar to the affect that the Links course has on hordes of Midwest golfers, especially the ones who consider themselves to be golf purists. The Links course is as links golf is meant to be: Fast and furious conditions; played on the ground; weather- (especially wind-) affected; strategic with an emphasis on approach shots. 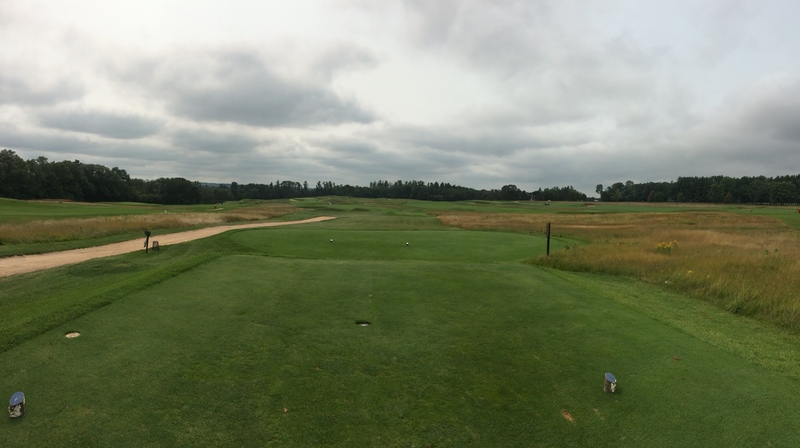 As far as those factors are concerned, there is probably no better course in the state with the possible exception of Erin Hills. Unlike traditional scramble events, the two-man Shield promotes team play that is aggressive yet smart/strategic. As opposed to a four-man team in a scramble event where everyone is swinging out of their shoes [and destroying their golf game for upcoming rounds] and then spending a few minutes trying to find where each errant ball went, the Shield puts a premium on good golf shots and each golfer playing well enough that their partner can get aggressive with birdie and eagle attempts. The other great thing about an event with talented golfers in it: Fast play. The tournament started and ended all within four hours. The most challenging aspect of any event like this is, of course, the alternate shot portion. Ross and I played five of the six alternate shot holes very well from tee to green, but what is it about this format that messes with your head while putting? Ross started out on the tee on thirteen, and hammered it right down the middle. 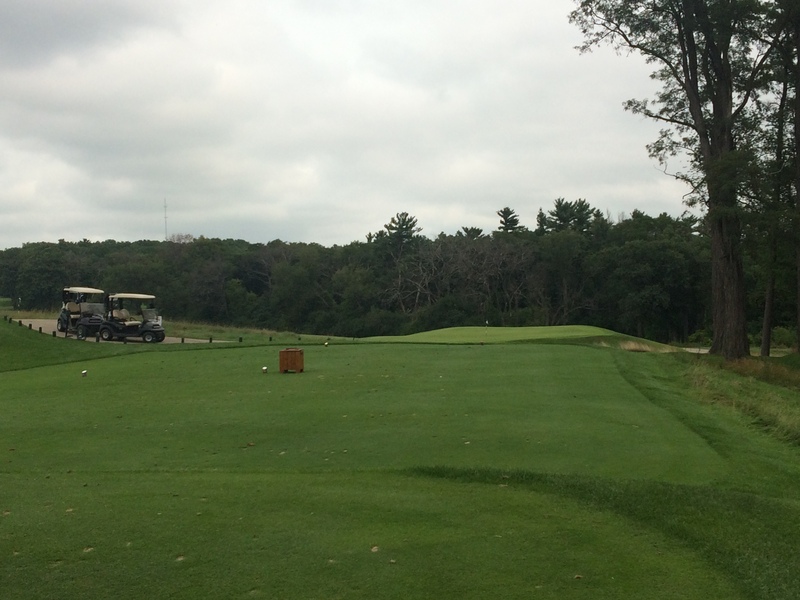 I got us to 140 yards out in the fairway and he hit a perfect draw to about 25 feet below the hole, on the left side. We both went over our thoughts on the putt, and both read it opposite, leading to a three-putt. The next hole was the par three fourteenth. My tee shot was 20 feet left of the pin, and was probably the most difficult read of the day. Again, we got together to try to figure out the line and read the break completely opposite leading to another three-putt bogey. The fifteenth: Another bogey. The sixteenth: Par. The seventeenth: Disaster! Ross’s drive on seventeen didn’t turn over and was a foot or two in to the fescue. It was a nasty lie, but all I had to do was get it out near the fairway and let him knock it on the green. The fescue grabbed my club face and the ball flew out at an almost 90-degree angle right, deeper in the fescue nearer the green. While this was going on, our playing partners, Al and Rich, were having their own issues: A lost ball led to hitting three off the tee (seventeen is the one hole where you absolutely cannot slice off the tee). 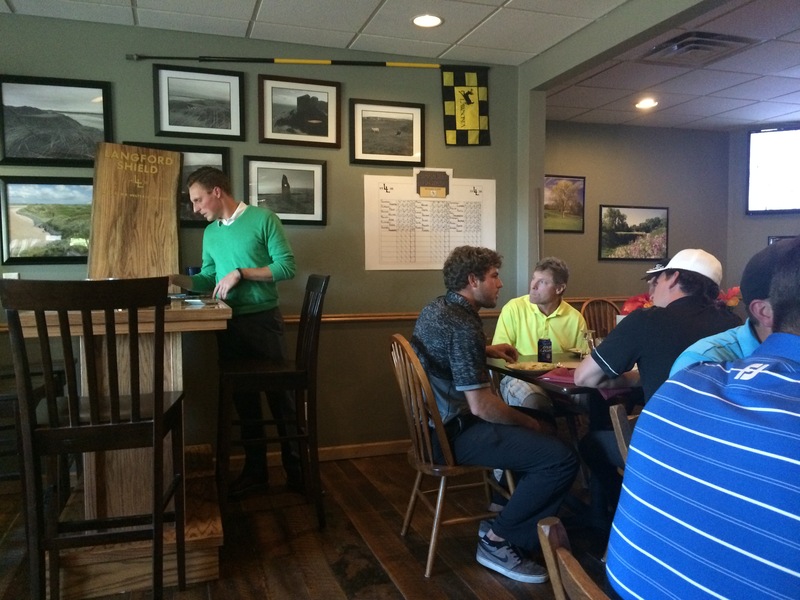 When all was said and done, both teams marked down sevens on the twelfth handicapped hole. Seventeen won, and we were both out of contention. Alternate shot is a tough format, and Ross and I discussed it at length on the drive back to North Hills. Is it that we overthought all of those putts, instead of trusting our own instincts? Does knowing your partner has to deal with whatever you do cause you to play tight and without normal aggression? 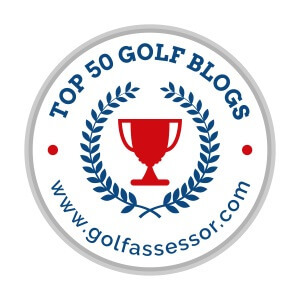 As in all cases, it is my opinion that playing golf instinctively and without too much thinking leads to better results and shot-making, whether on full shots or with the flat stick. In simplest terms, we probably overthought it and got away from our natural golf games. 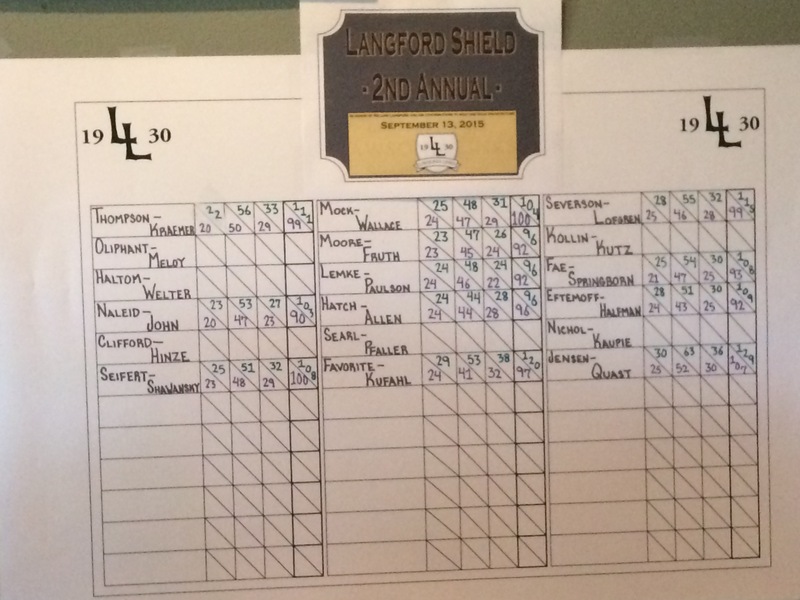 The Langford Shield was started last year as a celebration of the significant contributions made to golf course architecture by the early-1900’s design team of William Langford and Theodore Moreau. Langford, especially, has become one of the early American course designers whose work has become more heralded as time has gone on, and the Links course at The Golf Courses of Lawsonia is said to be his most in-tact work. As written about for GolfClubAtlas, and discussed at the Langford Shield event by the leading Lawsonia historian Dan Moore, the integrity of the Links course has faced considerable challenges throughout the past 85 years, but with the help of course architect Ron Forse and Lawsonia Superintendent Mike Berwick has been successfully restored beautifully! As is the case with many classic links courses, trees began infringing on the playing surface over the years, and it has taken monumental efforts to clear them to allow the clean design of Langford and Moreau’s work to resurface. I admittedly have a photograph of the thirteenth from 2011 hanging on the wall in my office. It was absolutely beautiful with all the trees (and really tough to hit the green, which it still is), but did not play the way it was meant to be played. The fourteenth is no longer a knee-knocking short par three where the golfer is thinking to themselves: “Do not go left, right or long in to the woods,” but instead is a short one-shotter where the contours of the green are in plain view, and where proximity to the pin is key to having any chance of two-putting this tremendously canted putting surface. The tricks it plays with golfers’ minds were restored to the way they were meant to be. This is the genius in what Forse, Berwick and the Oliphant team have been doing to bring our country’s number 71 rated classic course back to its full glory, and I for one love it. 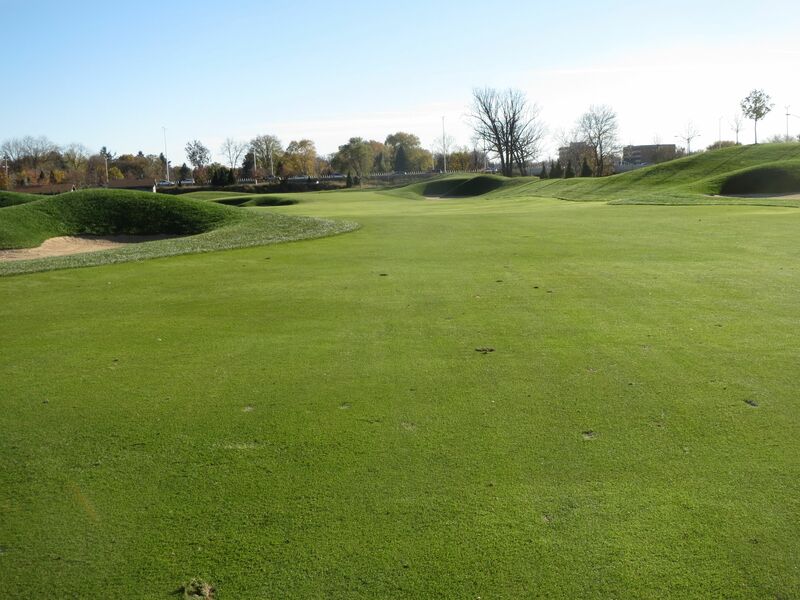 Other courses have attempted similar restoration/Langford-izing projects with the team’s designs, most notably Westmoor Country Club, Ozaukee Country Club and West Bend Country Club, but Lawsonia has what I believe is the preeminent track [that I have played] by the Langford/Moreau team. Westmoor Country Club’s original course was 27 holes designed by Lloyd Fitzgerald in 1927. When Interstate 94 was routed through part of the land in the 1950’s, Langford was brought in to make it a complete 18-hole course. The holes he designed (the fourth thru eighth) were so strong that David Gill was brought in in 1973 to try to strengthen the first, tenth, and fifteenth thru eighteenth. 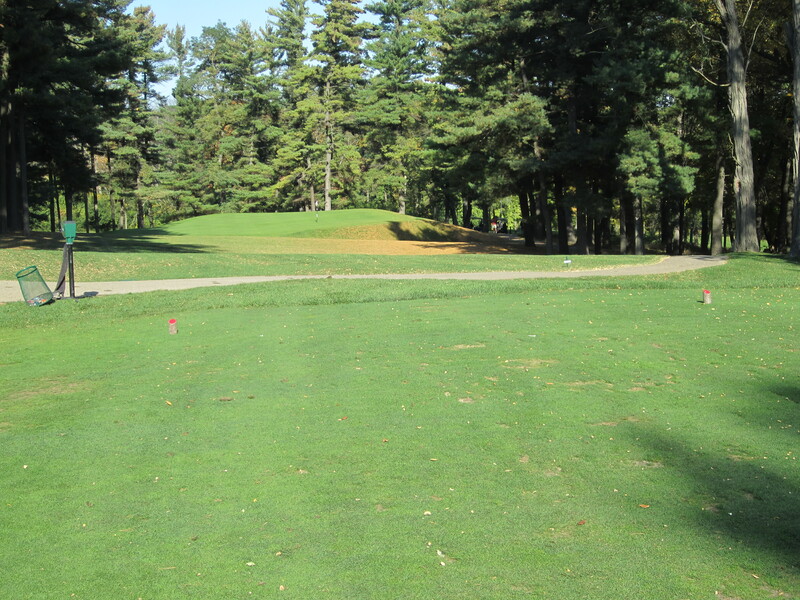 A much larger renovation was then completed by Lohmann in 2008/2009 to make the course more Langford-like. I think the project turned out very well, but the Langford holes are still head and shoulders above anything anyone else has been able to do. Ozaukee Country Club is another strong Langford design, although it does not have the same level of intensity that the Links course at Lawsonia puts forth: The elevation changes are not as severe, the greens and mounding are to a much smaller amplitude, but the strategy required to score and the importance of shots on and around the green are similar. West Bend Country Club’s front nine, designed by Langford in 1928, is absolutely spectacular, and the back nine was added in 1956 to try to make a unified course that looks and feels fluent. They did a fantastic job, as well, and the back nine is a fun and well thought out track, but again very little can compare to the original design of William Langford. The vision and execution on holes six thru nine, especially, is simply exceptional. The work that Lawsonia, Forse, Berwick and Oliphant have done on the Links course at Lawsonia proves that it does not always take a massive overhaul to make a huge difference on a links-style course, but instead a lot of passion and a strong commitment to the basic rules that Langford set in place originally. The foresight and design excellence in his work nearly a century ago is still seminal to the links designs seen in the work of golf course design stalwarts like Coore/Crenshaw, Tom Doak and others these days. When starting with an exceptional Langford [or any other world-class design team] course, it just goes to show that recognition of what’s there and a commitment to restoring it with respect to strategic intentions is the key to a great outcome.